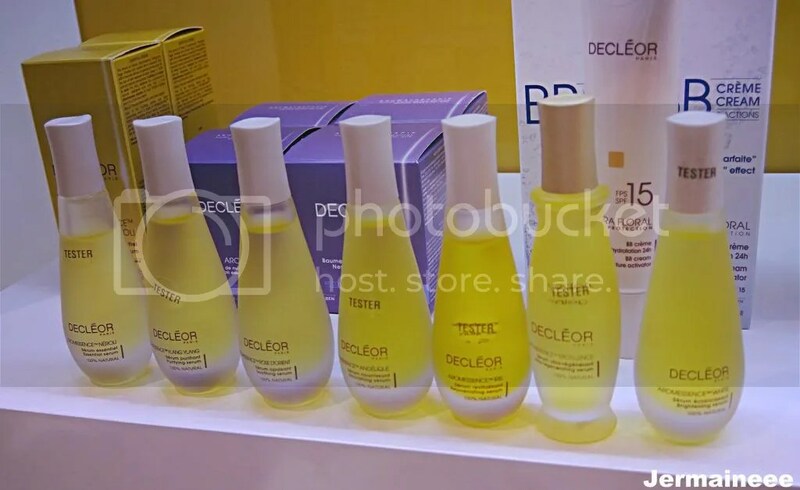 DECLEOR, the specialist in Aroma-Skincare from France is an expert in cosmetic aromatherapy.. For almost 40 years, Decleor’s laboratory has conducted intensive research into the world of Essential Oils, selecting them according to their extraordinary cosmetic properties and blending these ultra-concentrated oils with infinite precision. 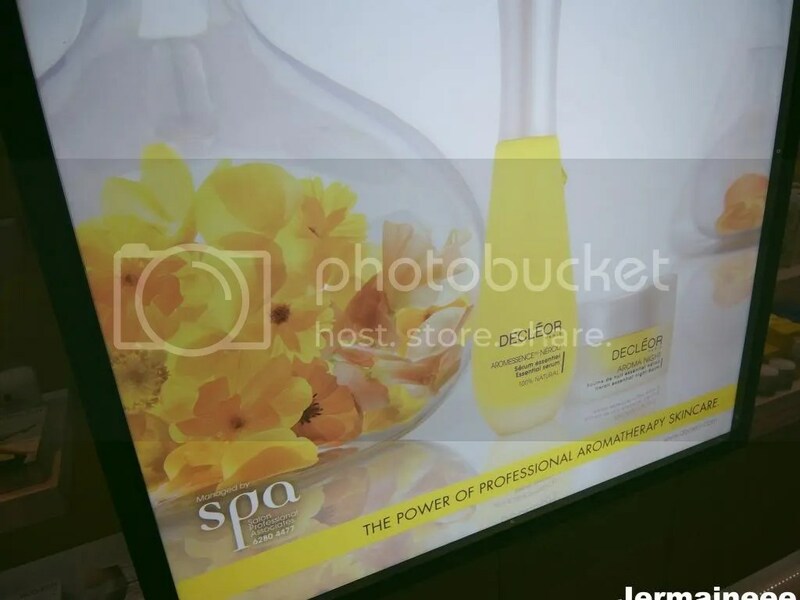 The end products – AROMESSENCE™ Serums and Balms are derived which consists of Essential Oils and Plant Oils are combined in precious blends to meet the specific needs of each skin type. AROESSENCE range offers all the very best of nature as products are 100% pure, 100% natural Essentials Oils combine with the vital power of plants and an exceptional affinity with the skin, for optimum effectiveness. Back in olden days, essential and plant oil has always been widely used due to its highly beneficial medical benefits.. The logic behind is nature is well made and plants create their own balance by adapting, capitalizing on and selecting the best from their environment. Our body is complex and sometimes we do not know what it needs, which causes an imbalance. As such, aromatherapy can also help to restore this balance within the complex human skin and body..
With this knowledge in mind, the laboratories of Decleor constantly aims to create a link between plants and the skin by making use of essential oils in its spa and beauty products.. Its philosophy aims to seek the best of nature, selecting the most effective active ingredients and combining them in accordance to the skin’s needs. Because it is 100% pure, 100% natural and 100% effective, DECLÉOR makes the connection between the skin and plants to restore perfect, balanced skin. 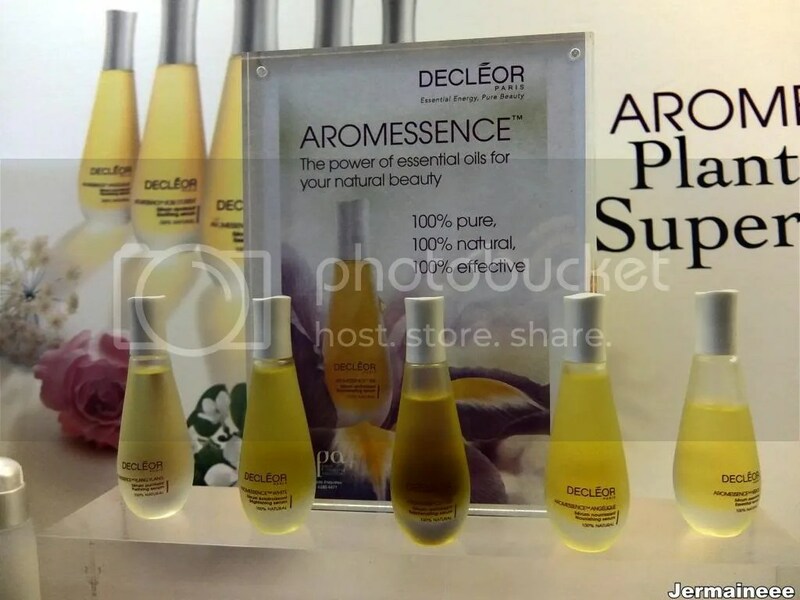 Containing carefully chosen and highly effective blend of Essential Oils with specific cutaneous and olfactory properties, Decleor’s signature products – the DECLÉOR AROMESSENCE Serums are powerful effective concentrates with a light and silky texture which will activate a wealth of benefits. Combination of perfectly balanced Essential and Plant Oils to meet the needs of every skin type, the serums (% pure, 100% natural and preservative-free) are suitable to be used daily to boost skin’s beauty before application of an adapted day / night care product. Néroli is specially formulated to comfort and treat skin exposed to daily stress (which prevents it from becoming delicate + dull). Upon application, it will soothe skin, provides immediate comfort and radiance, help balances the moisture level to leave skin visibly smoother, softer and glowing with radiance. Angélique Serum has natural affinity with the skin which purify, relax and nourishes the skin to leave it supple, comfortable and satin-smooth. With the Angelique serum, signs of dry skin (tightness, rough / scaly skin) will disappear as it supply the skin with nutrients and offer it with long-lasting tone and comfort. Good for people with sensitive and reactive skin, this serum (made with 100% pure and natural essential oils) will soothe and calm sensitivity / redness. Suitable even for daily use, it will sooth, soften, balance, even and reduce skin’s irritation. Aromessence serum Ylang Ylang will help to purify skin, re-balance the moisture level and keeping it matt.. The Essential Oils purify the epidermis, reducing excess sebum and closing the pores. As such, skin texture will be refined and radiance restored. A serum to firm, plump, nourish and renew mature skin types. This total anti-aging serum is formulated to help mature skin defy time, combining the new Sol-Collagenine Complex and the most potent youth-boosting Essentials Oils. It helps renew the skin, combat skin dehydration and reduces pigmentation blemishes. This 100% natural serum is specially formulated for the daily care of dull skin or/and pigmented spots. Combined with essential oils of Camomile, Lemon, Parsley and Acacia Wax, it restores the skin to a clear, even, luminosity and radiant state. Users have reported results that dark spots are reduced by 13.25% with just one application. 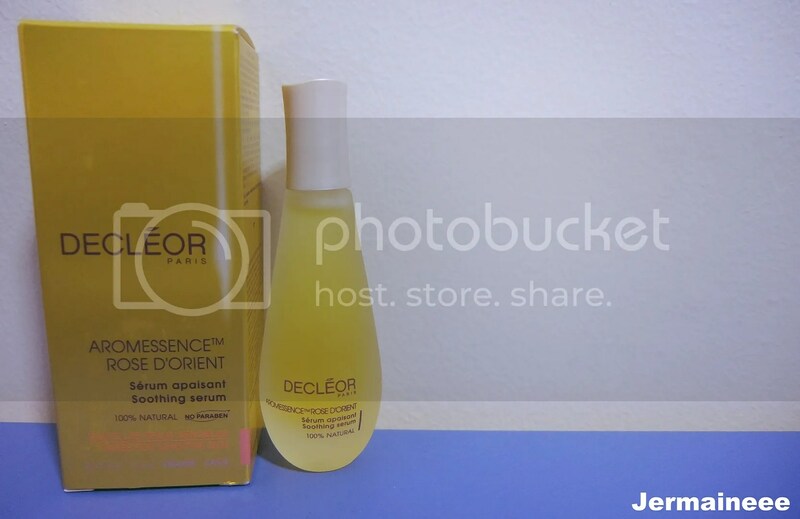 Decleor has sent me the Rose D’Orient Aromessence Serum for review as i have sensitive + acne prone skin which is prone to flare-ups and redness (from stress, irritation or hormonal imbalance). 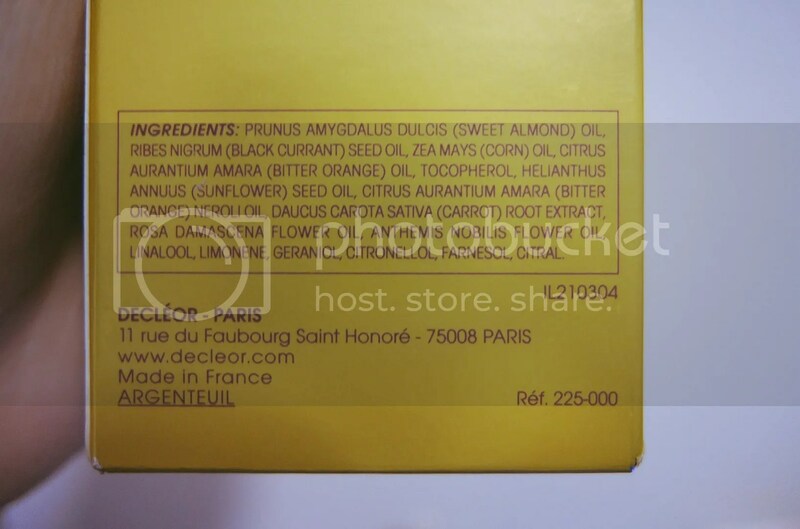 Aromessence Rose D’Orient is an elixir of 100% pure, 100% natural Essential Oils, specially formulated for the daily care of sensitive and reactive skin. It contains Essential Oils of Roman Camomile, Petitigrain and Neroli to treat and pamper skin. It will purify, soothes the skin, immediately restores comfort and relieves irritation. As a made to measure aromatic treatment care product for sensitive and reactive skin, this 100% natural serum with Essential Oils will instantly soothes away feelings of tightness and helps reduce signs of sensitivity. It also comforts the skin and melts away signs of destress. To optimize the effective of the serum, it is recommended to use it on perfectly cleansed skin.. Put one of your finger on the top of the bottle and tilt the bottle to dispense one drop of the serum. Repeat this process on another finger and warm the 2 drops of serum on the palm of your hands. After which, inhale deeply to indulge in the delicate scents of Essential Oils before applying the serum onto the entire face (in an outwards motion).. To compete the routine, using acupressure onto the key energy points of the face with gentle yet firm pressure (as per video via this LINK). I have sensitive and acne prone skin hence i was feeling quite worried before i use this product.. Since it is oil based, i was afraid that it will make my skin even oilier and worsen my skin’s issues. 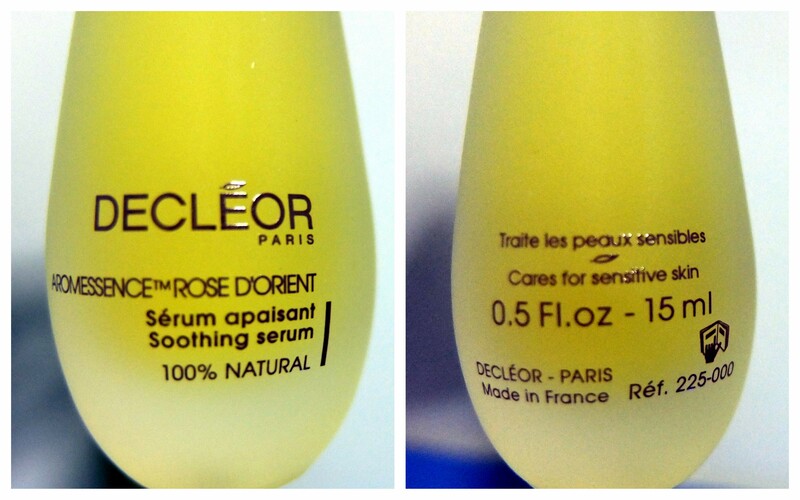 Despite being paranoid, I’m glad that took the plunge and try the AROMESSENCE since it is so highly raved by many. After using it every night for the past 2 months, i have to say that i love it! i use it all over my face with the recommended facial acupressure, the rose scent smells so good and relaxing that I’m always looking forward to using it.. It leaves my skin smooth after application and i will wake up with supple skin the next day (despite sleeping in air-conditioned room). I also find that it balances my skin as i’m seeing reduction in skin redness / sensitivity. It does not cause me to breakout nor does it contribute to more clogged pores. After adding this to my skin care regime (together with clarasonic which i will touch on in another post), my skin condition has improved so much in terms of clarity – lesser imperfections + more radiance. 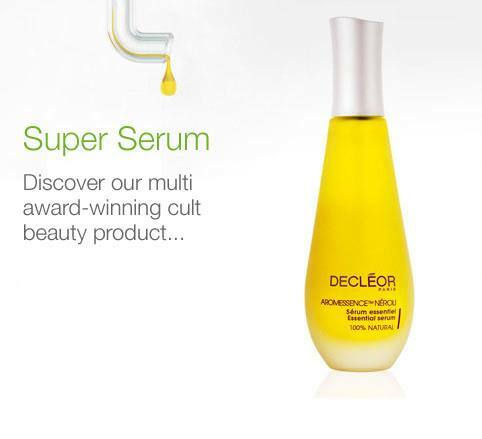 Disclaimer: Information are extracted from Decleor’s UK website. (Announcement) Red Bull giveaway (from 29 – 31 July) to reward early bird commuters!